Are you wondering what it’s REALLY like to get started in your coaching business? Are you questioning whether you can really make enough money in your business to quit your boring 9-5 and have the freedom to pursue your coaching full-time?! I’m getting real with you ladies and pulling back the curtain in this interview with my client, Nancy Weiss. It’s not that long ago that Nancy was in the same spot as you….with a big dream but not sure how to make it happen… and now she has a thriving business that she absolutely loves. 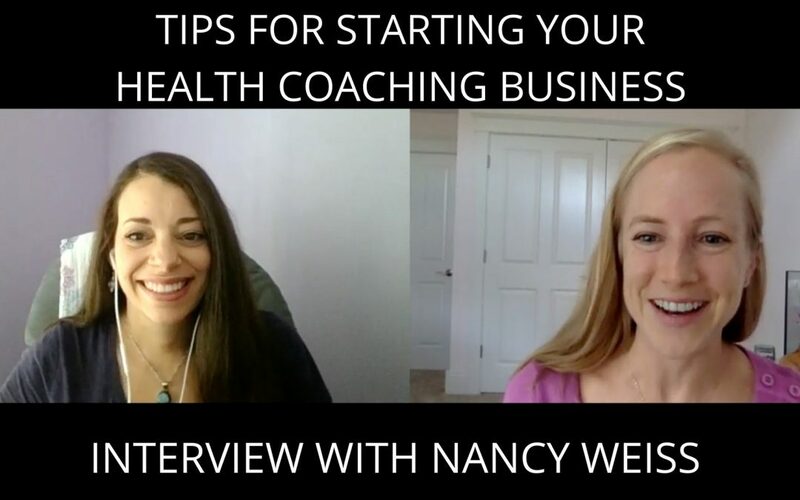 In the interview we talk about how Nancy went from feeling completely overwhelmed to creating powerful partnerships with other health providers in her community. She also talks about the important role that business coaching (ahem…;)) played in allowing her get results (clients + income) in her business. Nancy quit her 9-5 while we were working together and has been doing her coaching full-time since….and manifesting amazing things into her life…like money, a new house and a baby! Do you want to leave the confusion and overwhelm behind and have someone take your hand and walk you step-by-step through the process of creating a prosperous business? Now is the perfect time to get started! I only have a few spots left in my one-on-one coaching before the end of the year! Click here to schedule a free Business Breakthrough Call with me. On this powerful call, we will get clear on your vision and goals and come up with a plan for how you can make it happen! Yay!